It’s January and the whole world is focused on New Year’s Resolutions and Goals. But you know me, I’m always thinking about goals – both those big life-changing goals and those small life-sustaining goals. 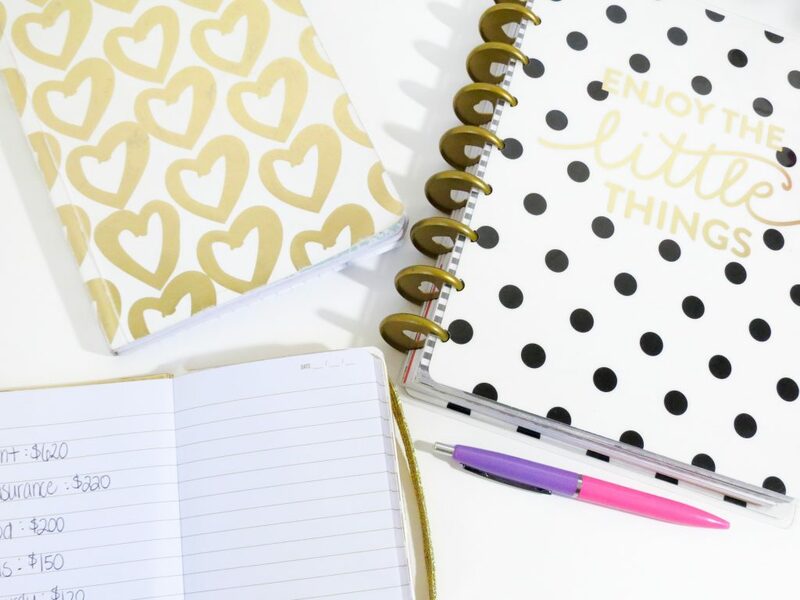 Whatever it is you’re working on, whether business goals or personal intentions, you need a plan. . . Create and maintain the fit body of your dreams? Yes, girl! Create a million dollar business? Yes, girl! That’s a great goal! But I’m going to be totally honest here, there are times in life when drinking a glass of water still has to be a goal that’s written down on paper. . .🚰 And that’s actually my point. 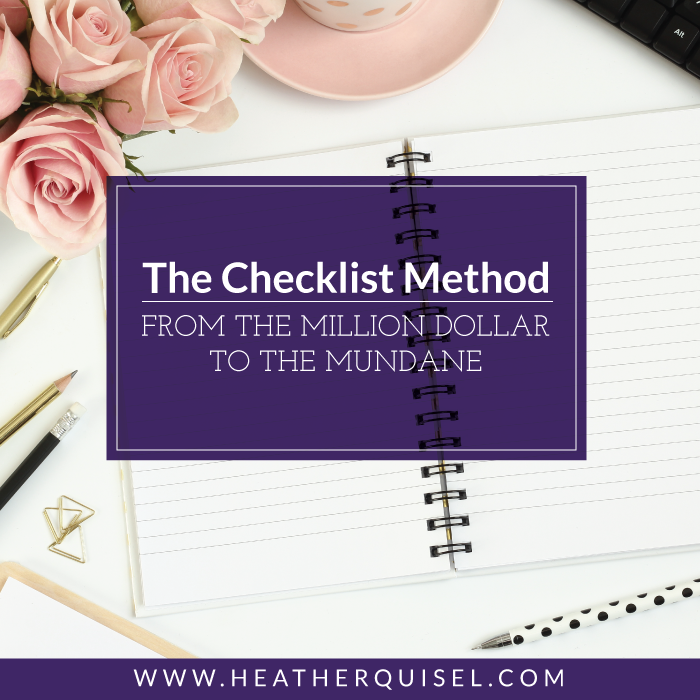 The same goal tracking method applies to both the million dollar goal and the mundane. Let me explain. If you’re like most of the women I work with, you actually already know what you need to do to get where you want to go. Even though motivation always helps, deep down, you probably know the actual steps you need to take to move toward your goals. So why do even those simple goals seem so hard? Like losing just 10 pounds? You KNOW how to do it. Have you heard yourself say anything like the following? But these are just statements. And a statement is not a plan. So let’s use a simple 10-pound weight loss as an example. We all know how it works, it’s mathematical! Stop eating crap from the Drive-Thru, drink a lot more water, and get enough exercise. But if you wake up each morning and say, “I just need to eat healthier.” You haven’t created specific actions and measurable criteria that carry you toward that goal. . . and we know how that turns out. We end up on a hamster wheel of making a statement, feeling bad about not reaching the outcome, and continuing the same old behavior. That’s not a formula, my friend, that’s just a recipe for unhappiness. I’ve been teaching these same strategies to my team members, my coaching clients, and friends for years because they work. I’m a huge fan of tracking habits and activities on good ol’ fashioned paper. Of course, my team and I still use digital tools like Evernote, Google Docs, and Asana for project management and collaboration, but for daily accountability, paper is where it’s at, girl. When we rely only on a computer-based tool like a spreadsheet or digital checklist, as soon as you close that app or browser window, it’s gone from sight. It’s a principle of business that we track metrics that help our income and businesses grow, right? Because what is measured improves. Here’s the deal. You may or may not already know that I’m a recent widow and I’m learning to navigate this sea of grief and change, along with the responsibilities of raising children and running my own businesses. Some days are hard. Really, really hard. When I’m losing track of where I am . . . I recalibrate with a notebook and pen. Sometimes the basic steps of what I call “keeping myself alive” have been challenging over the last 4 months. So I’m implementing my own system to keep myself moving forward, or if not moving forward on same days, at least staying afloat. My tasks have gone on paper: a checklist to eat 3 meals each day, drink water, exercise, and journal. If I get these small simple tasks done, I KNOW that I’ll have a better day than I would if I didn’t do them. It’s not a perfect system because humans aren’t “perfect”. Perfection doesn’t mean that you checked every single box every single day. At least to me, it means that you created that checklist and started working toward those tasks, renewing your commitment to them daily. Take specific action is better than making statements. 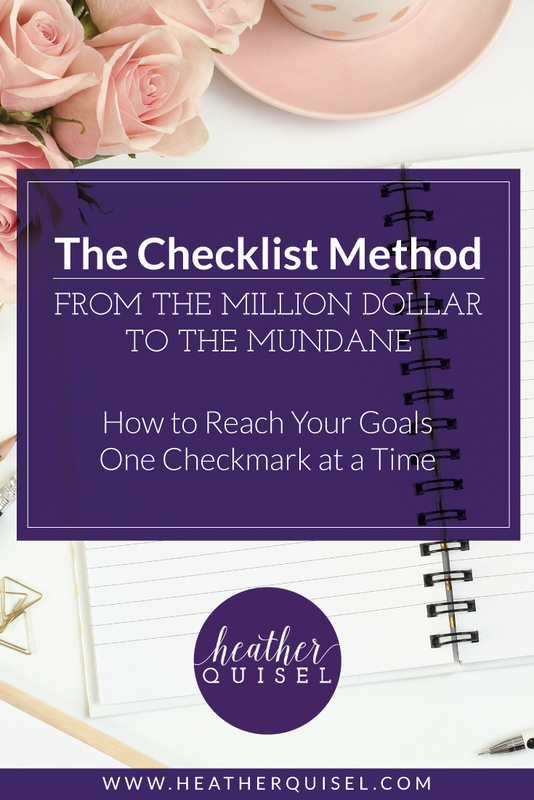 And a constant reminder on paper will help you take action, one checkmark at a time. What goals have you been stumbling over that you just can’t seem to reach? Put this down on paper as a series of tasks and go through them every day. So write down tasks and steps that are specific, manageable, and measurable. Want some tips on that? Here are a few of my favorite articles on accountability right here on the blog!